Brickhouse Gallery is featuring the fine art and photography of Gerry GOS Simpson. 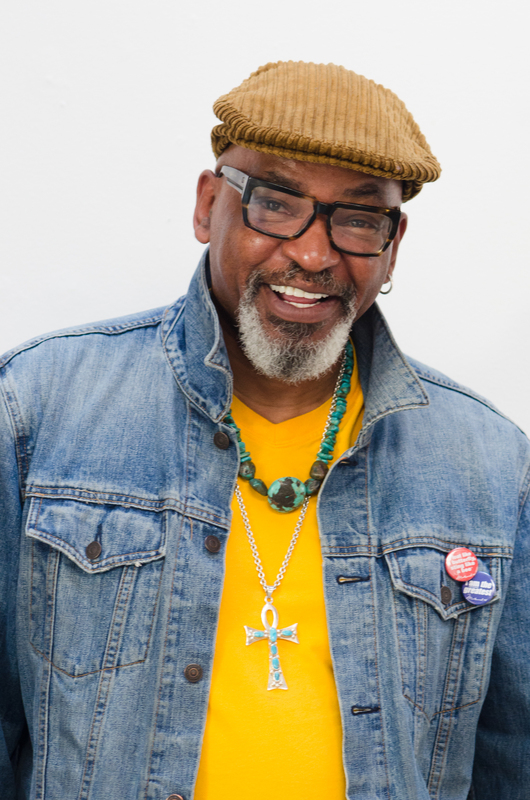 GOS’ works have been exhibited in the Sacramento region for thirteen years; his current exhibition is entitled “A Touch of Jazz and Other Sounds” and is an exploration of music and sound through the use of vibrant colors. 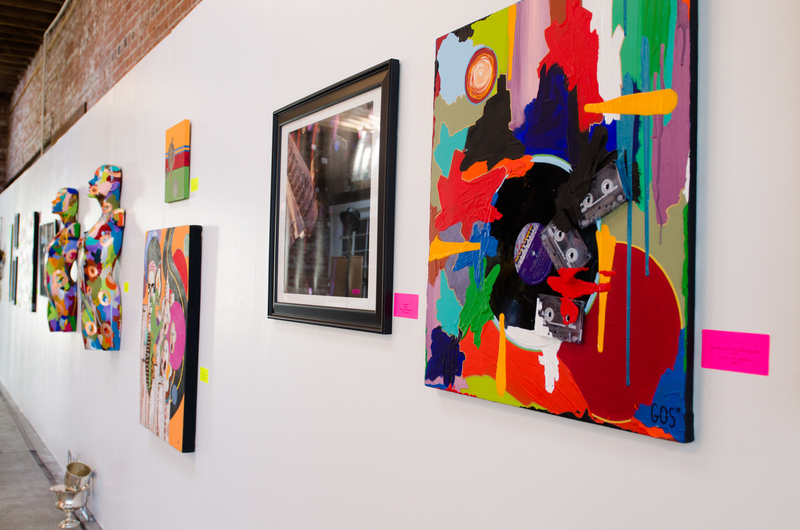 We at SAHC got to meet with GOS and gallery owner Barbara Range, and view the exhibition. GOS’s personality is as vibrant as his works, immediately you are compelled to feel as if you have been lifelong friends. 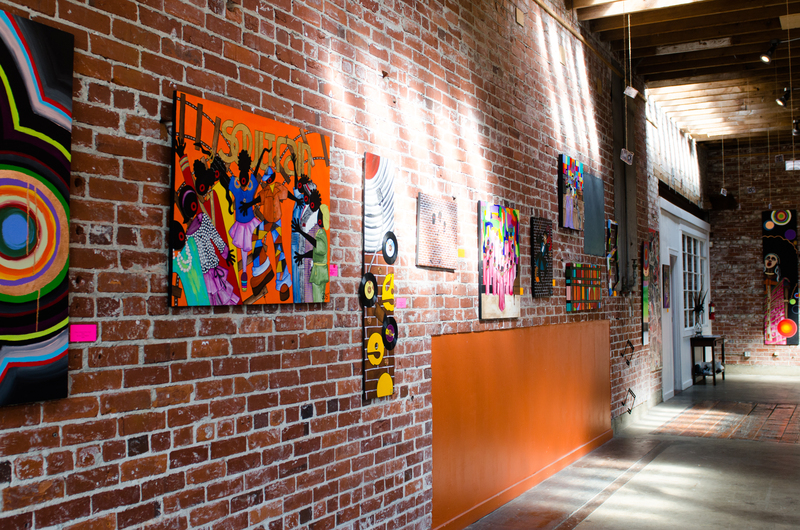 The exhibition views like a historical record of soul music; with homage to such genres such as jazz and gospel choir; tributes to musical artist such as Miles Davis, Michael Jackson and Soul Train the hippest trip in America. 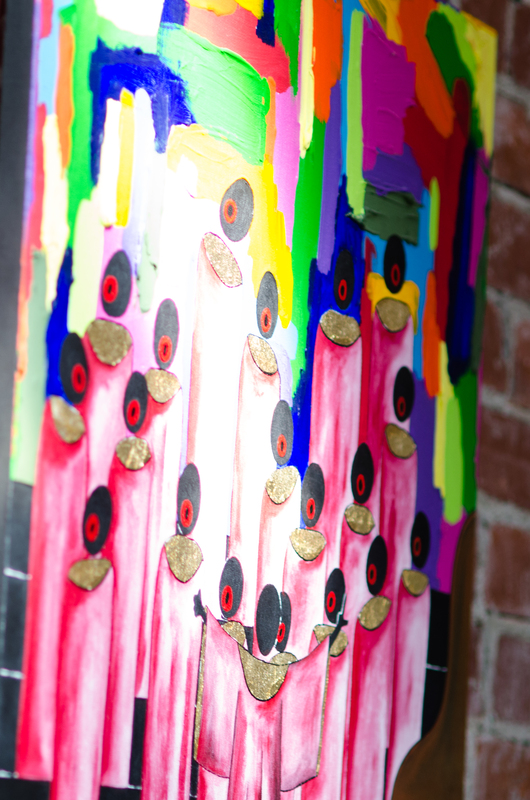 The piece entitled The Mass Choir depicts a Gospel choir brought to their simplest facial forms, their choir robes are a vibrant pink with delicate gold leaf collars, the background is a rendered abstract design; a wonderful balance of compositional styles in the exhibition. 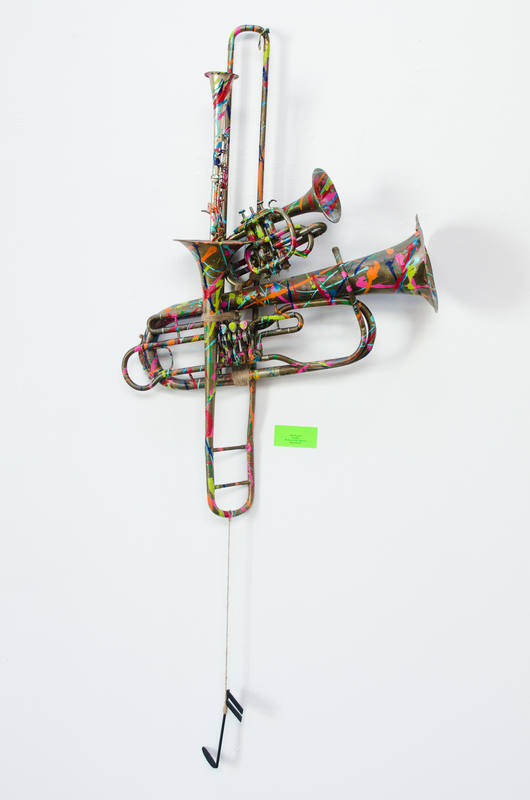 His mixed media, installations and conceptual art pieces are fascinating, his piece entitled Jam Session is composed of vintage brass horns which have been splashed with vibrant color, essentially resuscitating the instruments and letting us contemplate the harmony of their sound. 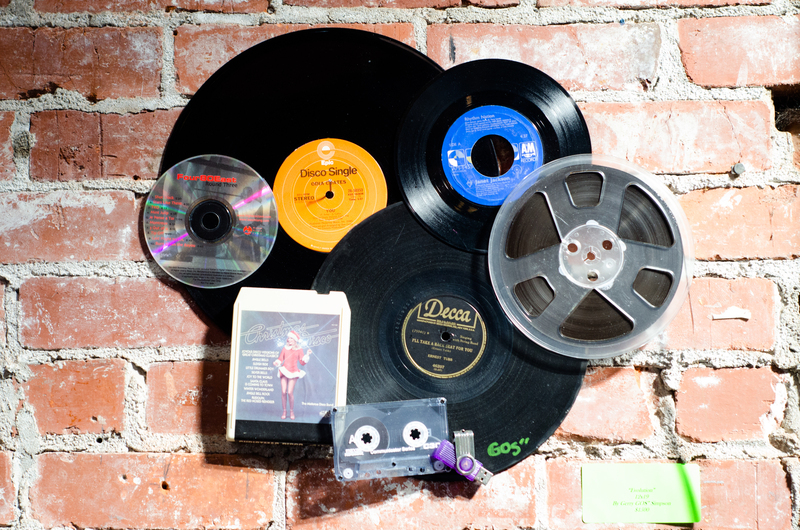 In another piece he arranges various forms of music media, and invites his audience to ponder how many different ways they have listened to music. In studying the piece, I considered not only how many ways I had listened to music but also how technology has shaped the way we purchase and appreciate music. Music has now essentially become an intangible commodity that is either streamed or downloaded from the internet. Is it possible that this change, of no longer having records, cassettes and CD’s in hand; or our collections of vinyls in a milk crate will change how we view and appreciate music? Will future generations have the same passion and connection to music and artists of the past as we see in GOS’ exhibition? It is an interesting thought. The Show is a must see and will leave you pondering the power and influence of music and how sounds shape lives.